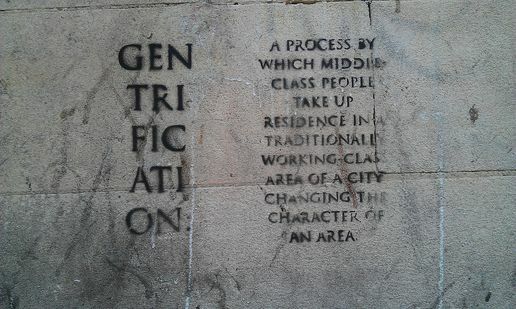 Gentrification can become a problem for some people while at the same time benefiting others. It can be a problem because buildings can be built or they can be knocked down and a person’s neighborhood can begin to change and potentially never be the same. On the other hand, those that agree with gentrification argue that it can be good because it makes their neighborhood look more modern. These are two vastly different perspectives. One reason why gentrification is harmful is because the cost of many resident homes begins to increase. Why the increase? Well, homeowners will most likely raise rent prices because of the increased value of the surrounding area. For example, the increase in rent in San Diego that happened in 2017. This means that for those that can’t afford to pay their new rent prices will be forced to move out. This would take a huge toll on the families and individuals because they would have to find a new home with the same cost of their old home. This shows how property owners want to create a better place for new people that would be able to pay and win more money for themselves. On the other hand, gentrification is really beneficial to low income communities due to the fact that the community will have a better economy and environment. This means more jobs will be open to the community, which would allow for more spending in low income families and in turn boost that specific community’s economy. As time passes, the community would start to become a middle class neighborhood because there would be more money. Homeowners will benefit since they would increase the rent for the residents who live there and in return receive a higher income. Gentrification is also usually followed by a decrease in crime rates which was seen in the community of Boyle Heights. This will definitely benefit the resident’s environment because it would make our communities be more safe. Therefore, gentrification can be helpful to our communities because it would make communities safer; on the other hand, it can cause problems in the neighborhood. It all depends on the point of view of resident who has lived in their communities for years.